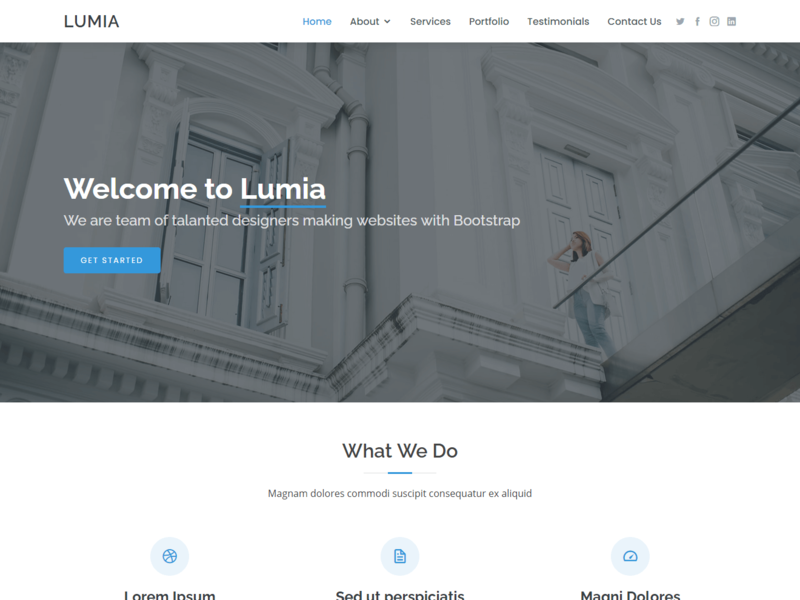 Lumia is a clean and multi-usage HTML site template. This theme is suitable for any corporate business, agency, portfolio, company profile. Lumia is built bootstrap framework and comes with 8 pre-defined colors with flexibility to recreate and rearrange all elements!